The tax-reform landscape is getting crowded. Adding to the proposals put forth by other candidates (I’ve previously reviewed the plans offered by Rand Paul, Marco Rubio, Jeb Bush, Bobby Jindal, and Donald Trump), we now have a reform blueprint from Ted Cruz. Writing for the Wall Street Journal, the Texas Senator unveiled his rewrite of the tax code. …tax reform is a powerful lever for spurring economic expansion. Along with reducing red tape on business and restoring sound money, it can make the U.S. economy boom again. That’s why I’m proposing the Simple Flat Tax as the cornerstone of my economic agenda. Here are the core features of his proposal. …my Simple Flat Tax plan features the following: • For a family of four, no taxes whatsoever (income or payroll) on the first $36,000 of income. • Above that level, a 10% flat tax on all individual income from wages and investment. • No death tax, alternative minimum tax or ObamaCare taxes. • Elimination of the payroll tax and the corporate income tax… • A Universal Savings Account, which would allow every American to save up to $25,000 annually on a tax-deferred basis for any purpose. From an economic perspective, there’s a lot to like. Thanks to the low tax rate, the government no longer would be imposing harsh penalties on productive behavior. Major forms of double taxation such as the death tax would be abolished, creating a much better environment for wage-boosting capital formation. And I’m glad to see that the notion of a universal savings account, popularized by my colleague Chris Edwards, is catching on. Moreover, the reforms Cruz is pushing would clean up some of the most complex and burdensome sections of the tax code. But Cruz’s plan is not a pure flat tax. There would be a small amount of double taxation of income that is saved and invested, though the adverse economic impact would be trivial because of the low tax rate. And the Senator would retain some preferences in the tax code, which is somewhat unfortunate, and expand the earned income credit, which is more unfortunate. It maintains the current child tax credit and expands and modernizes the earned-income tax credit… The Simple Flat Tax also keeps the current deduction for all charitable giving, and includes a deduction for home-mortgage interest on the first $500,000 in principal. But here’s the part of Cruz’s plan that raises a red flag. He says he wants a “business flat tax,” but what he’s really proposing is a value-added tax. …a 16% Business Flat Tax. This would tax companies’ gross receipts from sales of goods and services, less purchases from other businesses, including capital investment. …My business tax is border-adjusted, so exports are free of tax and imports pay the same business-flat-tax rate as U.S.-produced goods. His proposal is a VAT because wages are nondeductible. And that basically means a 16 percent withholding tax on the wages and salaries of all American workers (for tax geeks, this part of Cruz’s plan is technically a subtraction-method VAT). Normally, I start foaming at the mouth when politicians talking about value-added taxes. But Senator Cruz obviously isn’t proposing a VAT for the purpose of financing a bigger welfare state. Instead, he’s doing a swap, imposing a VAT while also getting rid of the corporate income tax and the payroll tax. And that’s theoretically a good deal because the corporate income tax is so senselessly destructive (swapping the payroll tax for the VAT, as I explained a few days ago in another context, is basically a wash). But it’s still a red flag because I worry about what might happen in the future. If the Cruz plan is adopted, we’ll still have the structure of an income tax (albeit a far-less-destructive income tax). And we’ll also have a VAT. So what happens 10 years from now or 25 years from now if statists control both ends of Pennsylvania Avenue and they decide to reinstate the bad features of the income tax while retaining the VAT? They now have a relatively simple way of getting more revenue to finance European-style big government. And also don’t forget that it would be relatively simple to reinstate the bad features of the corporate income tax by tweaking Cruz’s business flat tax/VAT. By the way, I have the same specific concern about Senator Rand Paul’s tax reform plan. My advice to both of them is to ditch the VAT and keep the payroll tax. Not only would that address my concern about enabling the spending proclivities of statists in the future, but I also think Social Security reform is more feasible when the system is financed by the payroll tax. Notwithstanding my concern about the VAT, Senator Cruz has put forth a plan that would be enormously beneficial to the American economy. Instead of being a vehicle for punitive class warfare and corrupt cronyism, the tax code would simply be the method by which revenue was collected to fund government. Which gives me an opportunity to raise an issue that applies to every candidate. Simply stated, no good tax reform plan will be feasible unless it’s accompanied by a serious plan to restrain government spending. If Ted Cruz had won, we would be better off. Now, 5 taxes I would eliminate are the corporate income tax, the alternative minimum tax, the death tax, the payroll tax and the capital gains tax. Nedlandp, one tax that affects job creation is the payroll tax. I would eliminate that and let Social Security be funded through a business tax. How? All businesses would pay a 15% tax on profits. A certain percentage of the tax collected goes to fund Social Security and the rest funds the other important functions of the government. The capital gains tax and the tax on manufacturing would also be eliminated. Where is FICA eliminated? Did I miss something? Because the plans do not allow deductions for salaries, while they allow for expensing capital items, they favor automation over jobs. This may or may not be a good thing in the long run, but it certainly is not politically attractive. A flat tax is not regressive, it is neutral. That said, I agree that some progressivity will be necessary to make effective rates progressive for those in the lower incomes quintiles. The two options are a standard deduction or a prebate. The supposed flaw in a prebate is that you might be giving money to someone earning nothing. However, the money given should reduce all other forms of redistribution. If enough were given, you could bypass and eliminate the bureaucracies and the disincentives that are a cancer on our system. This should cost no more than we are currently spending and it would eliminate fraud and waste in the current system. A portion of the funds could go into a Health Savings Account which would pay for universal free market healthcare. Since some of the funding would be offset by reductions in Social Security and Medicare it opens the door to entitlement reform. 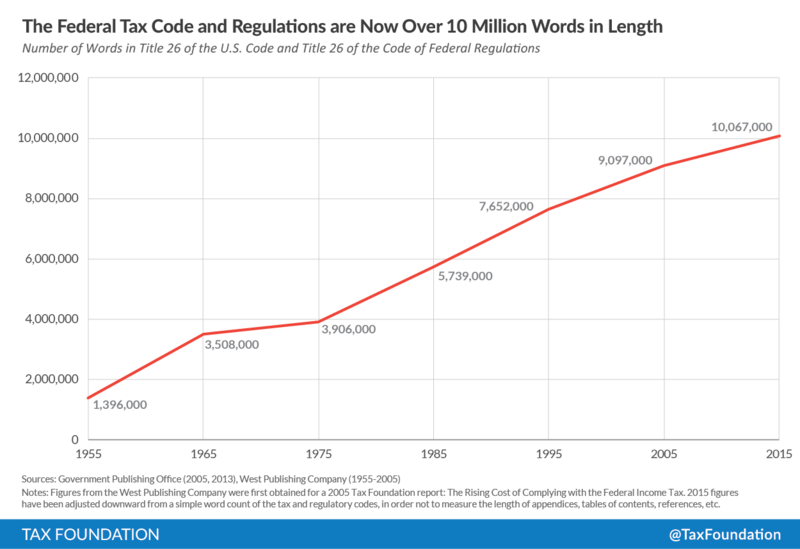 Any new tax code will be missing a huge opportunity for reforming the entire system, if it does not consider how redistribution, which accounts for 75% of federal outlays, can be modified to make our economy operate more efficiently. The Fairtax solves all the problems. Hidden tax, and the illusion of it been paid by “others”, will seriously degrade America’s social capital. I’d take the current system with simplifications over a VAT. I would also change the mechanics of the payroll deduction. Instead of automatic deduction I’d have voters write explicit quarterly or yearly checks for their income tax; so that they become more aware of how much they are paying. Like real estate taxes. Sir – here is where we disagree. There is another source of Federal Revenue which would be staggering. That is the “Sale of a Certified Timestamp” which can be underwritten. This is a new piece of Digital Currency I have been working for the last 15 years to get off the ground and which if properly run by USG and US Treasury would provide potentially a trillion or more in direct revenue to the USG meaning those taxable instances necessary to make that money up are much less important.